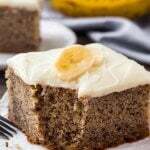 These zucchini cupcakes with cream cheese frosting are extra moist with a delicious spice cake flavor. They’re a delicious cupcake recipe for using all the zucchini in season. Today I’m sharing these zucchini cupcakes over on Oh Sweet Basil. 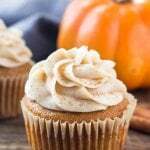 You can think of them as extra moist, fluffy, super tender spice cake cupcakes that are topped with the creamiest cream cheese frosting. If you’ve never baked before with zucchini – then you’re definitely in for a treat. 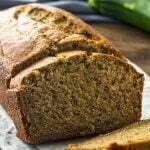 Zucchini makes baked goods oh so moist and provides the softest texture. The zucchini is grated very finely so the cupcake crumb is tender and fine. 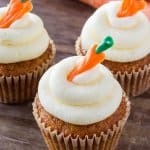 And if you love carrot cake or spice cake – then you’ll love these zucchini cupcakes. Then the cupcakes get lots of flavor from spices, brown sugar, and vanilla extract. 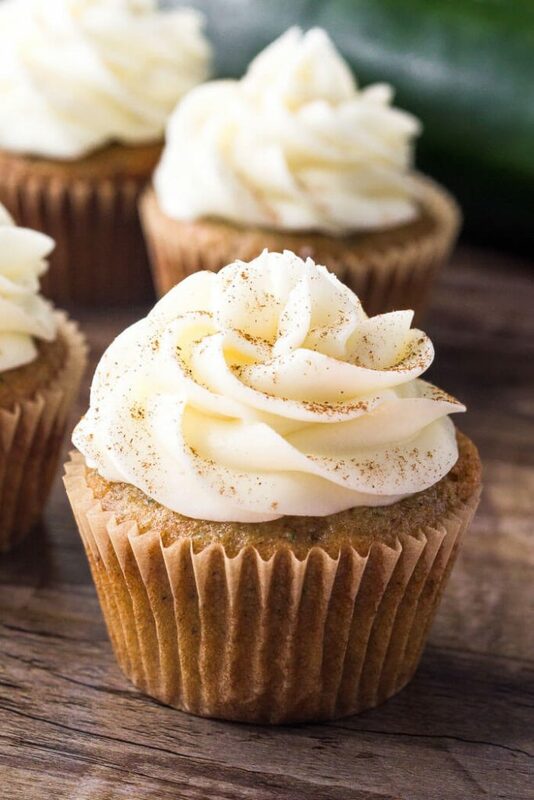 We’re using a combo of cinnamon, nutmeg and ground cloves – that adds a delicious warm & cozy feel to these cupcakes. To top it all off, they’re decorated with fluffy cream cheese icing. 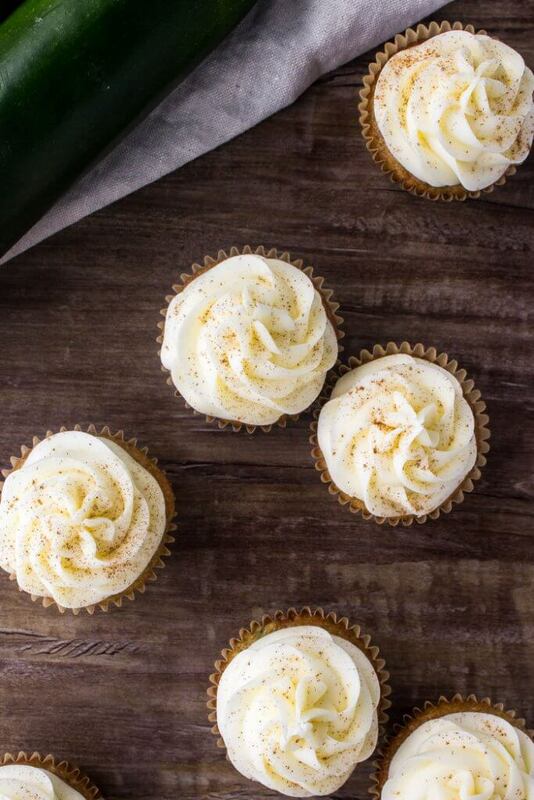 I always love cream cheese frosting – and I think it’s the perfect recipe for spice cakes like these cupcakes. 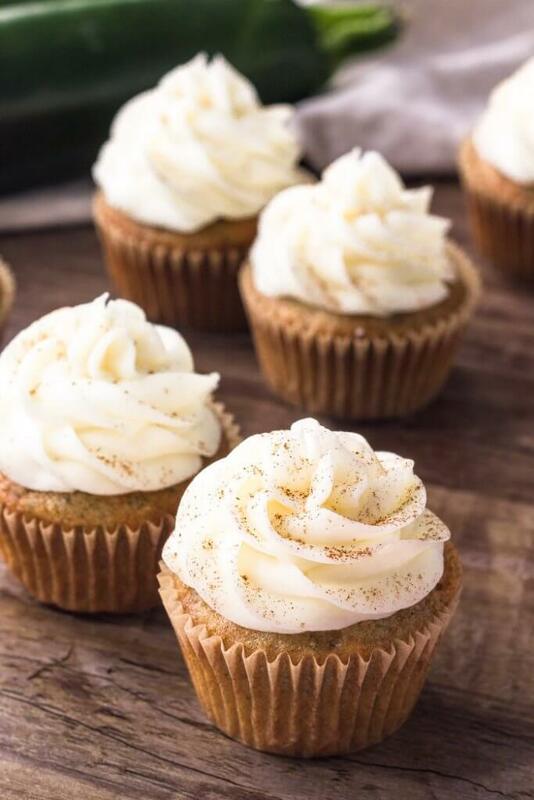 So head on over to Oh Sweet Basil to get the recipe and make these delicious zucchini cupcakes with cream cheese frosting.